Compounding the jurisdictional conundrum were two federal Indian policies instituted in the 1950s that increased Indian landlessness and poverty: Termination and Relocation. Under Termination, the federal government dissolved its trust responsibilities to certain tribes. Deprived of services and annuities promised them in treaties, terminated tribes liquidated their assets for immediate survival. When the Turtle Mountain Chippewa tribe was terminated in 1953, some families moved to Great Falls to live with their already impoverished relatives on Hill 57. The Relocation policy also moved Indian families to cities without ensuring that they had the means for long-term survival. Meanwhile, the government did not increase aid to states or counties so that they could cope with the expanding numbers of people in need. Sister Providencia realized that Indians who were repeatedly denied relief, medical services, and aid believed that white society did not care if they survived, so she worked with the Community Council of Cascade County to hold public forums on Termination and off-reservation Indian poverty. The College of Great Falls and the Friends of Hill 57 sponsored “Workshops in Understanding” to build empathy among non-Indians. 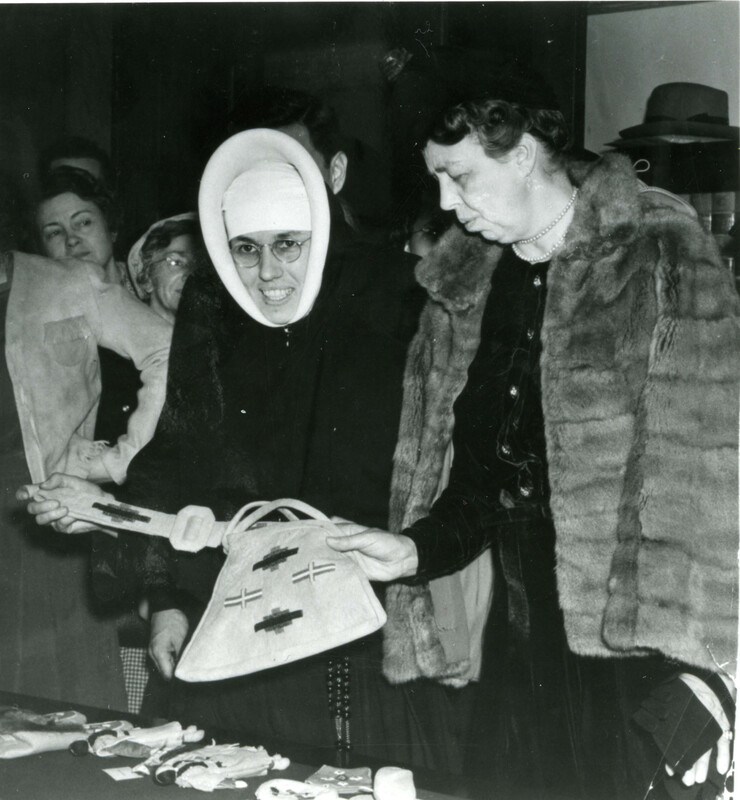 Testimony from women who had provided educational assistance, secured donations of food and clothing, and arranged to bring utilities to Hill 57 revealed the severity of the problem and underscored the need for federal involvement. Sister Providencia found allies in the Montana Intertribal Policy Board (MT-IPB) and Montana’s Advisory Council on Indian Affairs, two groups fighting reservation poverty and Termination. Beginning in 1953, officers of the MT-IPB were elected to the National Congress of American Indians (NCAI)—the most influential Indian policy organization in the country. Sister Providencia became an advisor to both the MT-IPB and the NCAI. Together, they pressured the government to uphold its obligations. In 1957 Montana’s legislature passed four joint memorials demanding restoration of federal obligation in matters of Indian welfare, education, employment, and health care. Montana’s Sen. James Murray and Rep. Lee Metcalf introduced reform legislation in Congress. Encouraged by Sister Providencia, the Great Falls Business and Professional Women sponsored a woman from Hill 57 to travel to Washington to testify in favor of the proposals. Despite an abundance of testimony supporting the reforms, the Interior Department blocked their passage. Commissioner of Indian Affairs Glenn Emmons also refused an offer by Great Falls landowners to donate Hill 57 lots for a landless Indian reservation, insisting the Indians should apply for relocation assistance through their reservations—assistance for which non-recognized or terminated Indians were ineligible. A breakthrough in their efforts came when Sister Providencia invited broadcaster Robert McCormick to visit Hill 57 and provided him with material for a documentary. Broadcast by NBC in November 1958, The American Stranger exposed the government’s neglect of its indigenous citizens. Sister Providencia convinced NBC to make copies of the documentary available for rebroadcast around Montana and elsewhere. Within days, NBC, Metcalf, and the Indian Bureau received thousands of letters from Americans faulting the Interior Department. 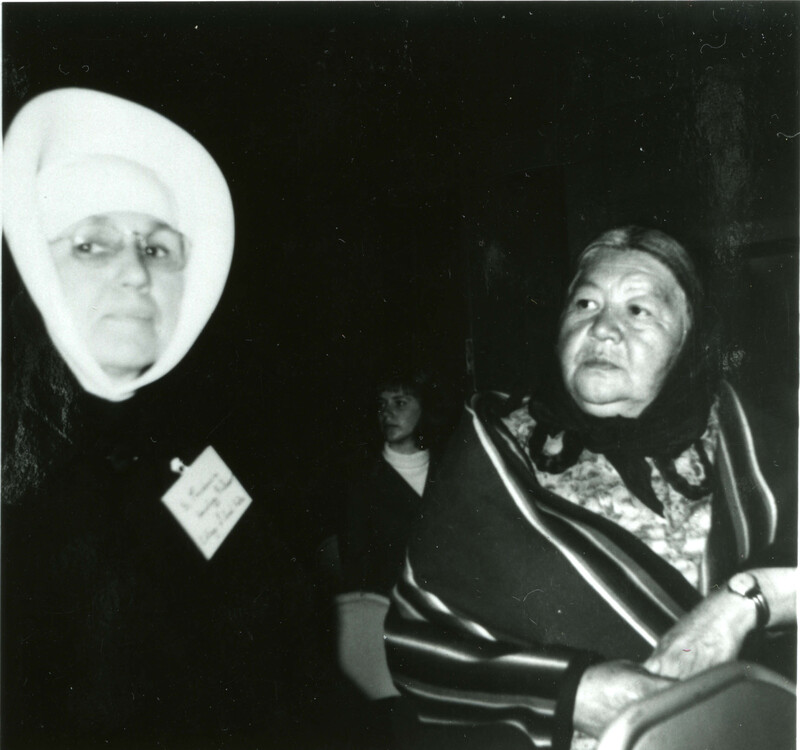 Read More about Sister Providencia in Joan Bishop’s article, “From Hill 57 to Capitol Hill: ‘Making the Sparks Fly.’ Sister Providencia Tolan’s Drive on Behalf of Montana’s Off-Reservation Indians, 1950-1970,” published in Montana The Magazine of Western History 43, no. 3: 16-29. Among Sister Providencia’s allies was Freda Beazley, vice-president of the National Congress of American Indians and an officer on the Montana Intertribal Policy Board (MIPB). Learn more about this Assiniboine anti-poverty activist in Freda Augusta Beazley and the Rise of American Indian Political Power. Billings, Gretchen. “American Indian Being Pushed Further into Never-Never Land.” The People’s Voice, August 17, 1956: 2. Bishop, Joan. “From Hill 57 to Capitol Hill: ‘Making the Sparks Fly.’ Sister Providencia Tolan’s Drive on Behalf of Montana’s Off-Reservation Indians, 1950-1970.” Montana The Magazine of Western History 43, no. 3: 16-29. Community Council of Cascade County records, 1948-1968. Small Collection 1989, Montana Historical Society, Helena. Community Council of Cascade County, Vertical File, Montana Historical Society Research Center, Helena. Deligdish, Andrea. Our Indian Neighbors. A Report to the Great Falls Citizens’ Committee on Indian Affairs. Great Falls: College of Great Falls, 1964. Lamere, Eunice, and Gertrude Lindgren. “Hill 57 Goes to Washington.” Indian Project Report to Great Falls Business and Professional Women, 1957. Unpublished. Community Council of Cascade County records, Small Collection 1989, Montana Historical Society, Helena. “Landless Indian Hearing Reveals Need for Action by Congress.” Great Falls Tribune, September 10, 1955, n.p. Sister Providencia, Vertical File, Montana Historical Society Research Center, Helena. Landless Indians of Montana. Vertical File, Montana Historical Society Research Center, Helena. “Lions Members Informed . . . Hill 57 Exemplifies Stage of Indian Pride Dying Out.” Great Falls Tribune, December 12, 1956, n.p. Sister Providencia, Vertical File, Montana Historical Society Research Center, Helena. “Montana Legislative Memorials Stress Indian Neglect.” Great Falls Tribune, March 8, 1957, n.p. 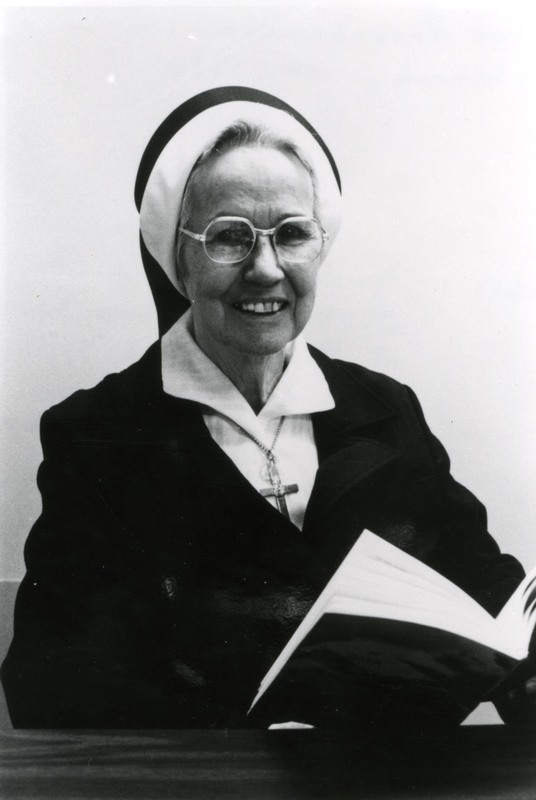 Sister Providencia, Vertical File, Montana Historical Society Research Center, Helena. Sister Providencia [Tolan]. Vertical File, Montana Historical Society Research Center, Helena. Tolan, Sister Providencia. “Indian Bureau at Fault. Hardships on Reservations Are ‘Cause and Consequence.’” Letter to Frank Murray, Montana Secretary of State. Reprinted in The People’s Voice. April 11, 1958, 1-2.